Journalists are very busy and get thousands of emails a day. So, even very well targeted news pitches can be overlooked. However, how can you break through the clutter and get your pitch read? Have a great subject line for your email or introductory sentence for your phone pitch. A subject line with six words or less is key. Pitch your story as a process story. If your content is not particularly interesting, how did you get to that point and is that more interesting? This might be particularly useful for research-based stories. Did you use any unique processes to achieve your results? Pitch your story to an unorthodox beat. Are you pitching a biking story, how about tying into fashion, food or business related to biking instead of the typical sport beat? Tie into a tread, and I am not talking about fringe boots here. What IS the media covering and how can you be a part of it? Today, if you have a way to tie into SOPA or PIPA, your chances of getting coverage are greatly increased. Or, how about a story about the ubiquitous Tim Tebow? Leverage your existing assets. As any good communicator could tell you, half of our jobs are to repurpose and reconfigure old content, coverage and concepts. Do you have a company mascot and a yearly contest? Can you tie the two together in an interesting way? Make it a multimedia pitch. Use video and photos. Pitch on Twitter and Facebook. Make your pitch interesting to read, view or listen to, and you just might break through. Got other ways to jazz up your pitch and break through? We would love to hear your comments – here on The Side Note, @Weise_Ideas on Facebook. Attendees of SHSMD2011 are all dealing with re-entry work, attempting to sync their Poken and evaluating to-do lists based on the SHSMD conference. While everyone will have their personal take-aways, Jay Weise and I developed a top ten list of things we heard and learned in Phoenix. 1. The Patient Protection and Affordable Care Act includes provisions about IRS oversight of requirements that nonprofit healthcare providers must meet in order to maintain their tax-exempt status. Nonprofit organizations are seeking assistance to track community benefit programs and keep it in a format approved by the IRS. This is an opportunity for the right company. 2. HCAHPS (Hospital Consumer Assessment of Healthcare Providers and Systems) is a national survey that asks patients about their experiences during a recent hospital stay. When will the general public adopt HCAHPS as criteria they use to select a hospital? Unfortunately, there is a lot of focus by hospital administration on these scores, but no evidence that a patient is using it in the hospital selection process. 3. The new buzzword, ‘Patient Experience’ Not patient-centered, not patient-centric, not patient-focused…Patient Experience. This is intended to represent the totality of the interactions and perceptions of interactions between the patient and the health care facility. Patients with a more favorable experience are more likely to adhere to treatment protocol, have a positive outcome and provide favorable recommendations to others. 4. A big question from the conference: is government mandated health care constitutional? When will a ruling that provides certainty occur? How much legislative change will occur to the Patient Protection and Affordable Care Act prior to the large provisions taking effect in 2014? 5. From Michael Sachs’ keynote presentation on Friday, Constitutionality ruling on healthcare reform will not affect the macro trends in the healthcare industry. 6. Hospitals are waiting for someone to figure out a strategy for Accredited Care Organizations (ACO’s) before they adopt it. Right now there is too much uncertainty and confusion. ACO’s are too far away from current Key Performance Indicators. 7. From Jeff Bauer’s keynote presentation on Saturday, “By 2020, there will be more people living in the United States under 18 that were born outside the U.S. than were born inside the U.S.” The impact on medical treatments will be far-reaching. For example, men of Korean descent do not have the genetic enzyme to process the anti-depression drug, serotonin. How will this effect care, drug protocols, pharmaceutical company focus and online information? 8. Marketing strategist in healthcare organizations are the only people in the organization that can bring the customers point of view to strategy. Hospital Administrators are counting on the marketing strategist voice. Marketers need to speak up. 9. Healthcare marketers must consider the system of care is not inside the hospital walls, it is outside of it. 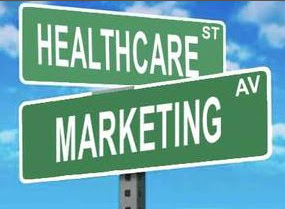 Healthcare marketing strategists must take the leadership position and consider all entry points including: the website, community events, referral lines, physician offices, etc. 10. Integration across multiple platforms of data and across functional areas within a medical facility must occur to provide value to patients. The cost-efficiencies will be mandated in health care reform and are essential in a competitive environment. Want to find out more about what we learned at SHSMD 2011? Give us a call. Want to add to this list, share your thoughts here or on Facebook at Weise Communications and follow us on Twitter at @Weise_Ideas. All physicians have a stake in their public perception; overlooking or minimizing the impact of social media in maintaining that presence is a recipe for disaster. With HIPAA regulations to consider, physicians are in a unique situation regarding their online persona. Here are a few tips designed to help physicians maintain a professional online presence and preserve the integrity of their relationship with patients. These tips are consistent with the American Medical Association social media policy released in November that highlight some of the things physicians should consider when focusing on their online presence. Regularly monitor privacy settings – Facebook recently came under extreme scrutiny for unleashing face recognition software that provides identity suggestions for tagging people in photographs. A Los Angeles Times story describes the concerns which are part privacy and part the decision of Facebook to release the facial-recognition feature as an ‘opt-out’ feature. Massachusetts Rep. Edward J. Markey, co-chairman of the Congressional Privacy Caucus expressed his frustration, “Requiring users to disable this feature after they’ve already been included by Facebook is no substitute for an opt-in process.” The only way to disable the feature is to update privacy settings. Positioning information from a qualified source – The public needs information from the health care community. Providing information from a trusted, qualified health care professional will balance the misinformation gathered from outside sources including the Internet. The best way to do that is to be informative about medical conditions, research, and treatment options in general terms. It is much better to say ‘Adults with the ____ syndrome typically display ____ symptoms, ’ than it is to say, ‘I saw a patient today with _____ syndrome and he/she displayed ____symptoms.’ Even inadvertent disclosure of patient’s health information can be a violation of HIPAA. Maintain separate personal and professional social media accounts – This tactic has the benefit of allowing for more candor in a personal account and information sharing that is more relevant to that specific account. 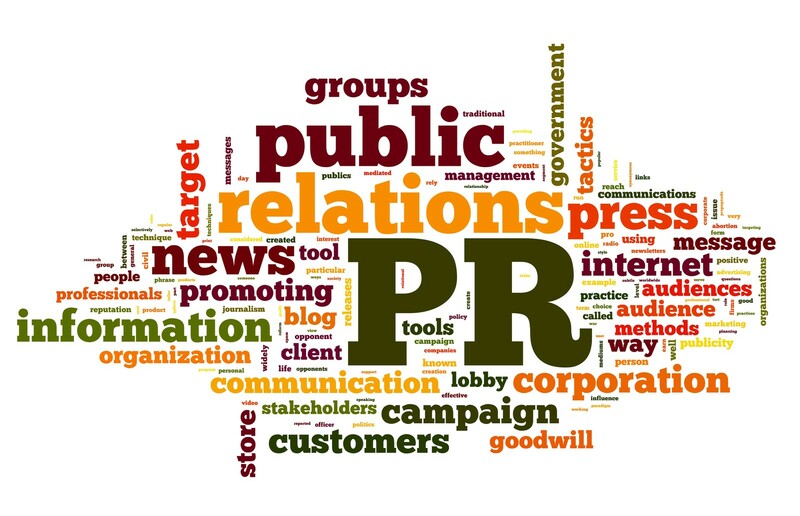 The professional account will have more work-related messages, inquiries and information. One of the challenges is managing multiple accounts. The solution is to use a social media tool like TweetDeck or HootSuite. Just be sure you know which account you are using to send information at all times. Most importantly, recognize that online actions and posted content can negatively affect physicians’ reputations and may have career consequences. Tell us if you’ve implemented policies to guide physicians in their online reputation. Share your thoughts with us on Facebook at Weise Communications and follow us on Twitter at @Weise_Ideas. I just returned from the Lowes Lake Las Vegas Resort and another fantastic Public Relations Society of America Counselors Academy. This is by far the best conference to attend to get advice on how to better service clients through a mix of counseling, strategic planning and focused business management. I lieu of a traditional conference recap, I have a video blog with insights from some of the Academy members. A big shout out thanks to Ashton Gilliard, our account coordinator, for her unbiased review of the footage available and her fine editing skills of my less than stellar videography skills. Counselor’s Academy Peeps: See you next year in New Orleans!